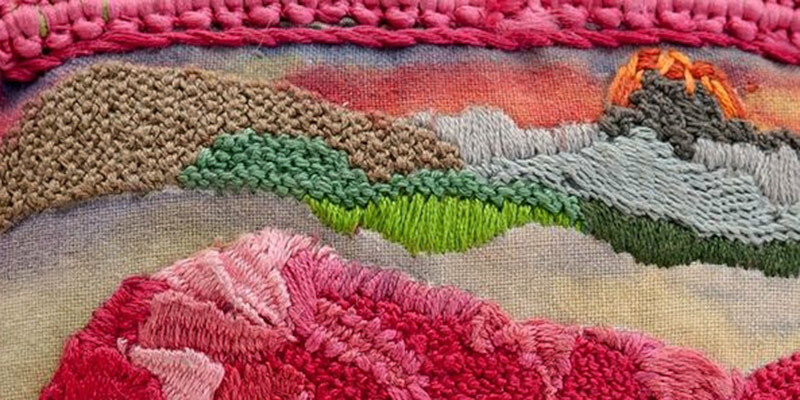 Art Together is a series of exciting new workshops at artstream. We will dive into an art process with a different media each month and freely create individual and/or collaborative works. Once a month on Saturday mornings [more info]. 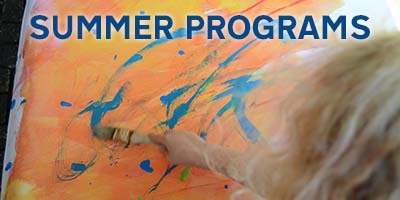 Join our art classes in painting, drawing, mixed media, clay and more. Sign up now! Stay in touch - sign up for our newsletter. Classes are divided into six-week sessions to allow plenty of time for student exploration of the medium in use and completion of work. New lessons each week all year long - no repeats - join anytime! If you have any questions about which is the right class for you or your children please give us a call at 603.516.8500. Adult painting was closing in on the final stretch of their paintings today! 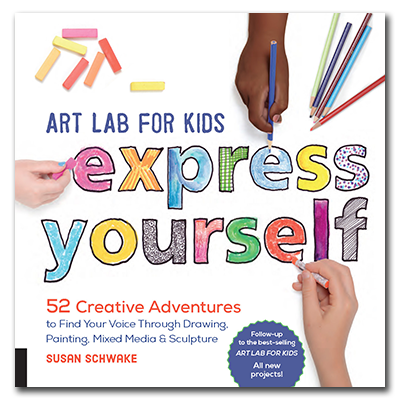 Follow-up to the best-selling Art Lab for Kids, with 52 new projects! 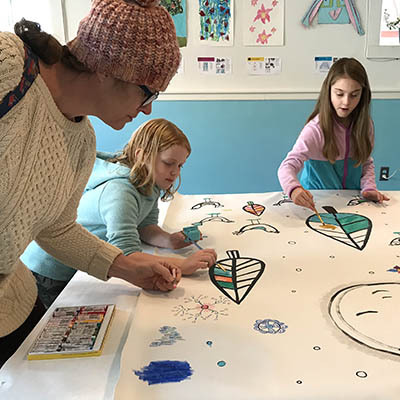 Art Lab for Kids: Express Yourself is a fun collection of art activities that encourage children to create freely, using their own thoughts and experiences as a guide. 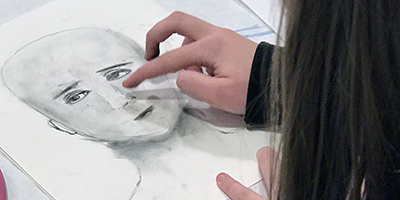 Young artists are encouraged to discover their style, document their thoughts, and build confidence in their unique perspective. Each lesson asks questions and offers personal choices while encouraging diverse approaches and creative thinking. Many projects include varying examples and executions of the activity to illustrate and reinforce the open-ended nature of the labs, inspiring children to embrace and share their own voice. We will have a book release on November 17, noon-2pm. We'll have an exhibit of the artworks from the book and light refreshments. 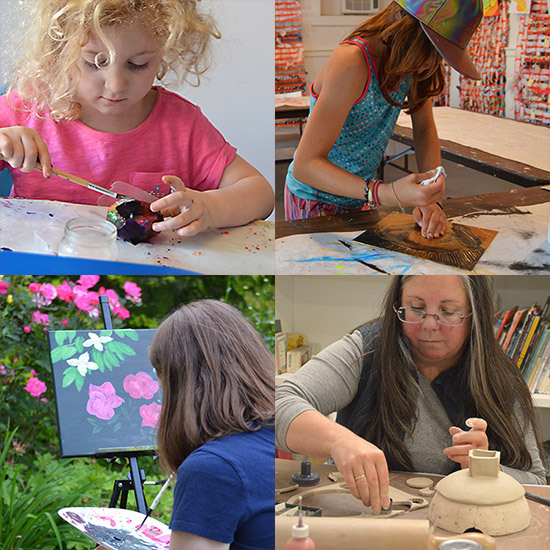 Coinciding with the Salmon Fall Artists Mill Open Studios day, you can also visit some of the artists studios in the mill across the street. Order here or get your copy at our studio! 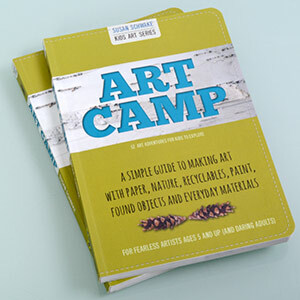 Susan's ART CAMP book - available at artstream, at your favorite bookstore or online. 52 creative art projects for kids to do on their own - using paper, nature, recyclables, paint, found objects and everyday materials. 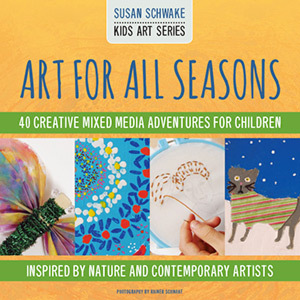 Art for All Seasons is available at artstream or online. Art Labs for Kids and everyone else! Available at your favorite bookstores or at amazon. Can't get to our studios? Start with monoprinting: It's fun! It's easy - most materials you probably have on hand! Explore your creative side! Painting for beginners and beyond. Mixed Media I and II.